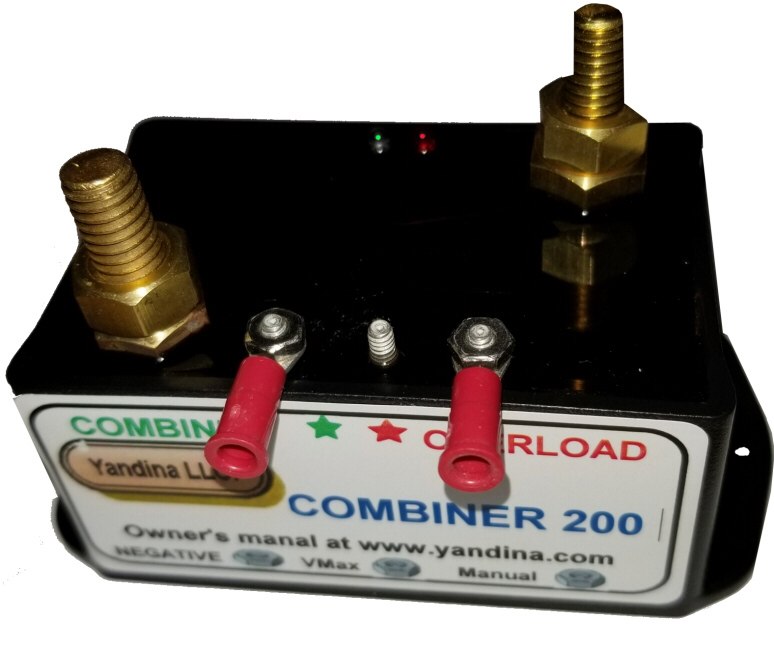 The Combiner 200 is a voltage-sensing relay (13.1 volts) which connects two batteries together when either is receiving a charge. When the charging ceases, the relay opens so that each battery operates independently. Supplemental battery banks can be added by using an additional combiner for each bank. You never have to worry about switching to "BOTH" when your engine is running and forgetting to switch back to save your starting battery from discharge when you stop. Suitable for alternators up to 200 amps, up to 18 volts. Smaller charging sources may be able to use the Combiner 100. Click here for general combiner information. Click here to download and view the owner's instruction manual using the Acrobat viewer. (Four pages with wiring diagrams).